Shown with our 8" Beeswax Taper Candle, sold separately. 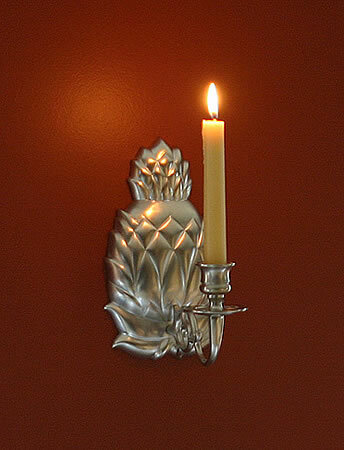 A beautiful one arm Pineapple Sconce, of heavy Pewter plate on brass. This heavy casting measures 8" high and 4-3/4" wide. It extends roughly 6 1/2" from the wall. The Pewter is lacquered to maintain its luster. Weight: 1 lb 12 ounces. 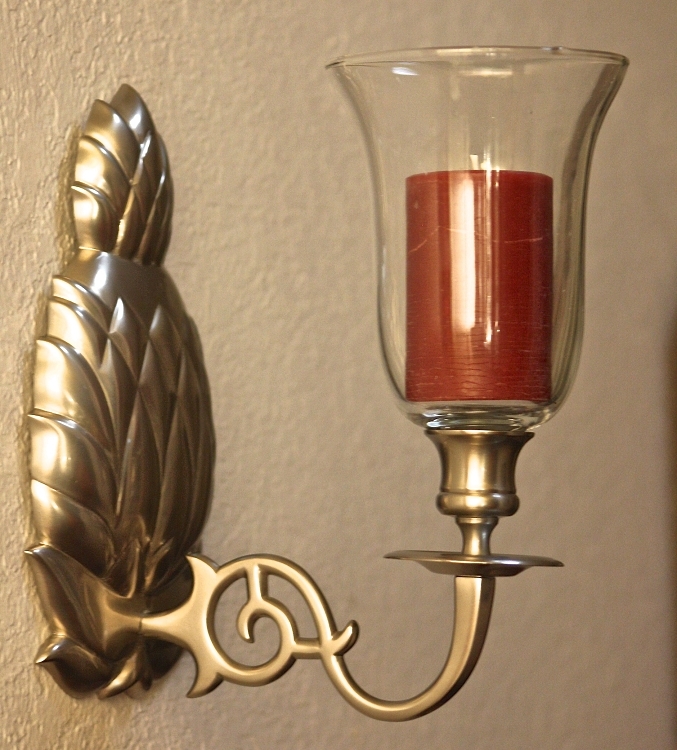 Please note that at this time hanging hardware is not included with the sconces. 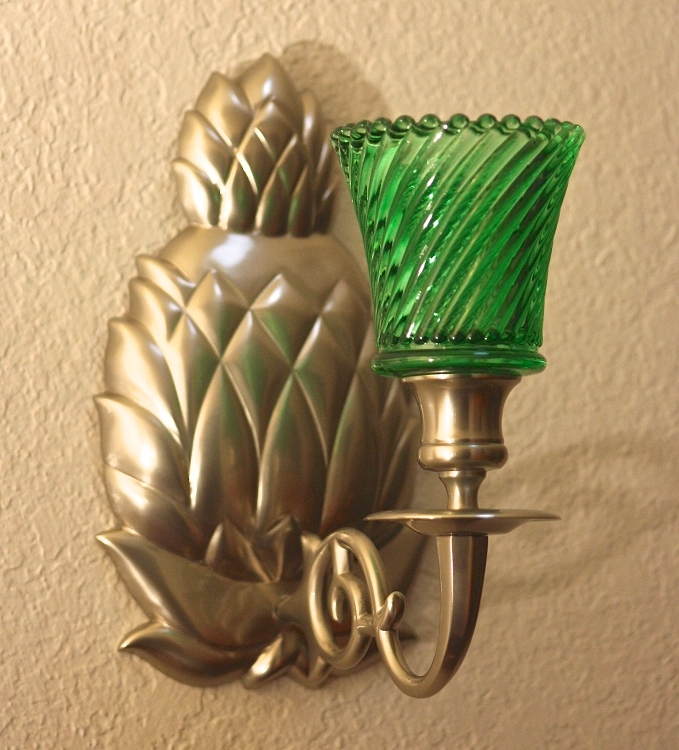 This sconce is generally hung through a hidden with a nail opening on the back of the sconce. In Colonial America, a fresh pineapple was often the center of the dining table when visitors were present. Visiting was the primary means of entertainment and cultural exchange, so the concept of hospitality was a central element in colonial life. The pineapple symbolized the warmest welcome a hostess could extend to her guests, and it often served as the dessert after the meal.